Lovers of the classic- and indie-film streaming service FilmStruck (a group that includes all of your favorite directors) will be familiar with the lively Australian host and critic Alicia Malone. Her passionate and erudite introductions and interviews, onscreen and on the FilmStruck podcast, were central to the recently (but maybe not permanently?) shuttered service’s mission to demystify art-house cinema. 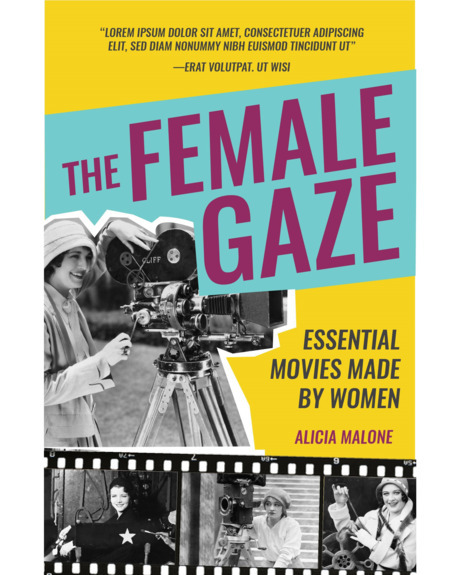 Malone is also the author of two books: Backwards and in Heels, a history of the overlooked work of women in the movie industry, and the newly published The Female Gaze: Essential Movies Made by Women. A compendium of reviews of 52 of Malone’s favorite films directed by women, from silent pioneer Alice Guy-Blaché to current stars like Ava DuVernay and Chloé Zhao, the book is a handy riposte to anyone who has trouble naming a female director — or a female film critic; half the contributions were solicited by Malone from established and up-and-coming writers. 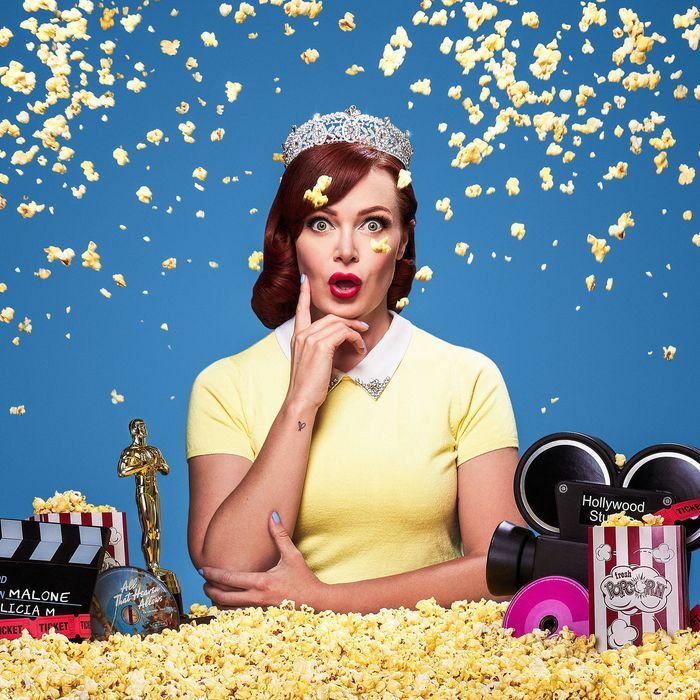 She continues to host on Turner Classic Movies, which, along with the Criterion Collection (soon to launch its own streaming service), provided much of FilmStruck’s content. Malone spoke to Vulture about fighting to preserve both classic cinema and the legacy and future of women-led films. The cancellation of FilmStruck really struck a nerve. Why do you think that was? They never let you forget those bad choices. With FilmStruck, you have people choosing things for a reason, grouping them into themes, and holding your hand through the process. Plus, they were making so many films available. With each technology, you end up losing films. Silent films were lost, and then a lot of films when they went to VHS, and then VHS to DVD, and so on. People get that silent movies have been lost, but not that preservation is an issue with films that are 20 or 30 years old. It makes me scared for the future, because with each technology and streaming service gone, there’s a narrowing of how many films are available to watch. Film schools assign movies to watch that are accessible, so what we end up studying and what ends up in the film canon is quite small. Often that means female directors are left out. FilmStruck was really dedicated to celebrating female filmmakers and people of color. We just had a whole selection of women directors, which I did all the intros for. FilmStruck had a largely female staff. How did you get involved? Was there a conscious decision to try to change the notion of classic cinema as a boy’s club? It was definitely in their mind-set that it would skew a bit younger rather than the traditional cable network of TCM. I started with them in 2016 while they were still developing it, and it’s just been a dream come true. Yet FilmStruck’s other partner, the Criterion Collection, notoriously features only a tiny percentage of women directors. Most of the film canon excludes women directors. You look at something like the AFI Top 100 list of the greatest films of all time — there are zero female directors on that. None, zero. Which seems insane when you have Ida Lupino and Dorothy Arzner, who worked in the Hollywood system and should definitely be included. I think that speaks to the film critics. Men talk about movies made by men; they create film history, and it self-perpetuates. When did you decide that you wanted to highlight women directors? Growing up in Australia, we had Gillian Armstrong and Jane Campion. Originally, I wanted to be a director, but I thought I wasn’t strong enough. I was quite shy, and the image of a director — this goes back to unconscious bias — I thought of a man, maybe with a whip and a bullhorn. That idea that you need to be the tyrant to direct a movie is not true: Often, directing involves collaboration and tapping into emotions, qualities we traditionally perceive as feminine. So then as I was covering film, I would see great women directors, who can get money together and make independent films just as well as men. But once you move up the ranks, they get lost, whereas their male counterparts go up into the studio system. After I wrote my first book, I got a lot of questions from people asking, “How can we support women in film? How can we send a message to Hollywood that we want to see these statistics change?” And my answer is always to watch movies made by women, even if you have to go outside the mainstream. Once you start consuming those films, it feels different. The stories are told in a different way. I decided with The Female Gaze to give a list to people who might not know where to start. So, is there such a thing as the single female gaze, versus the traditional “male gaze” of film? The “male gaze” was coined by Laura Mulvey to talk about the way in which women are portrayed on film through a male lens, so I liked the term “female gaze.” What does the world look like through a female lens? Are there running themes? What I discovered when I watched all these films back-to-back was that although many of the stories are about women, they are very different from each other. I wanted to include things like Point Break by Kathryn Bigelow, which shows a female touch on a very masculine story. But it’s not a direct equivalent because the male gaze is part of our patriarchal society, set up so women are treated as objects. Jill Soloway has suggested that the female gaze is a form of self-expression — that women’s creative power comes from personal experience. But it feels so limiting to always collapse women’s stories back into autobiography. Greta Gerwig kept having to insist that Lady Bird wasn’t her life story. I think female directors are really good at being able to portray the small moments between women, but that doesn’t mean that they only talk about their own life. Women are really good at creating intimate dramas, but a lot of that also comes down to the fact that they don’t get the opportunity to do really big-budget sprawling epics that they might want to do. Can you think of a favorite movie in the book that shows a more expansive female gaze at work? Why did you choose to highlight other women critics in this book? I just saw a new documentary about Pauline Kael, and it made me think about this pervasive idea that if you’re a successful woman in this industry then you’re “the one.” The platform is a little bit more secure, but you have to guard it with your life. That’s what’s drilled into us, right, that there’s only room for one woman? And that breeds into us a competitive nature. That’s something I always try to rally against. The more women talking about film, the better. And that also means women critics don’t have to rally behind a not-great movie just because it happens to have a female lead or director. I remember being so scared for Wonder Woman. I was like, it’s got so much riding on it, a female superhero, a female director. I know all these female critics were like, “Do we have to like this? Can we say that we don’t if we don’t?” Luckily, it was good and it did really well, too. It’s tricky to feel like you’re carrying that burden, and I know for female film critics of color, it’s the same thing. But that just shows the need for proper, actual diversity in film criticism. How do you see this gender disparity intersecting with Time’s Up and #MeToo? Is it all part of the same rethinking of how Hollywood works? I think so. When I put out my first book, it was very hard to get people interested in talking about women in film. That was August 2016. And just a few months later, in October 2016, everybody said, “We need to talk about this,” and it was a hot topic. It’s great that people realize the need for talking about it and waking up to the statistics. It’s not surprising that Hollywood has such a sexual-harassment issue when you look at the way women have been treated in film for so long, as objects and side characters who don’t have much agency. It goes back to not having many female directors at the helm, or many female executives. We haven’t seen actual change just yet, and I think a lot of people in Hollywood don’t know what that might look like. Is it inclusion riders? Is it just letting female directors have more opportunities? When I wrote my first book, looking at the whole history of women in film, I thought my last draft was just going to be all-caps yelling. You would see small changes for women and then it would go back to the status quo. I’m just hopeful now that with this amount of conversation, it can’t go backward.